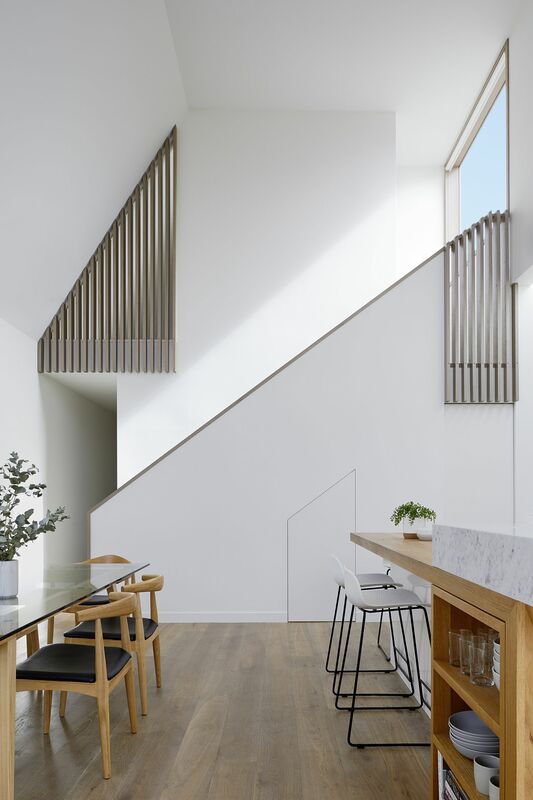 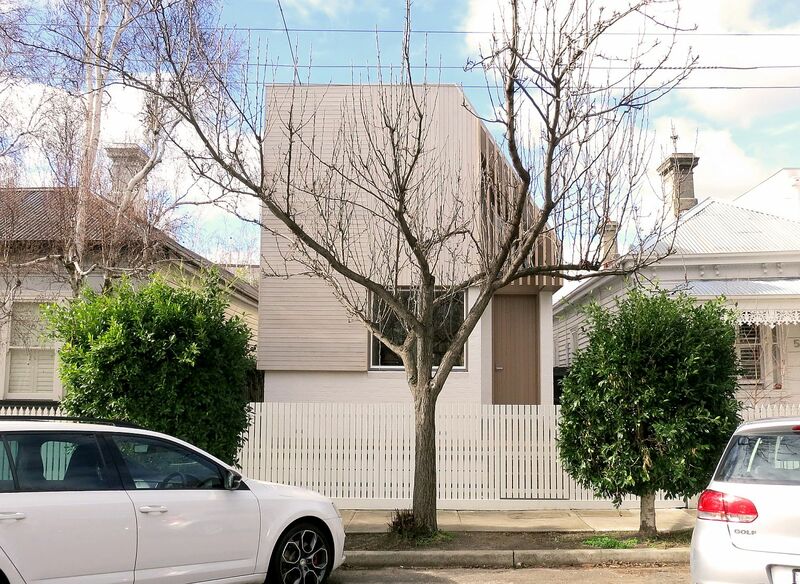 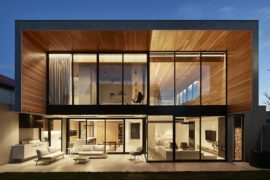 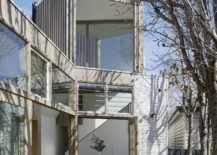 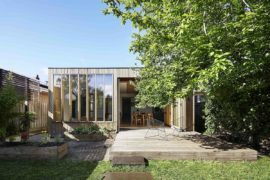 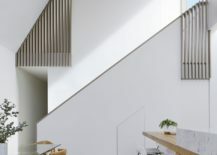 We often see heritage homes across Australia get a modern makeover on the inside while the street façade is untouched and kept intact for obvious reasons. 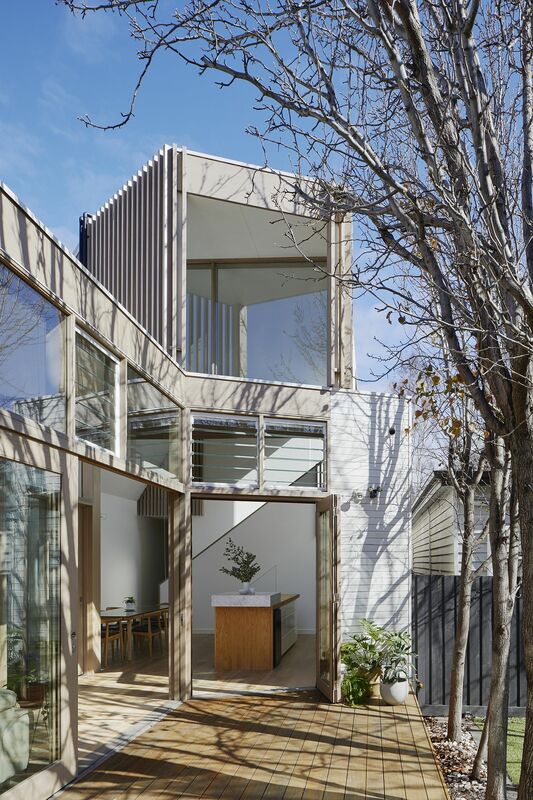 Nestled in a neighborhood filled in heritage homes, the Tess + JJ’s House is a contemporary residence that embraces some of the classical characteristics to blend in with its historic surroundings. 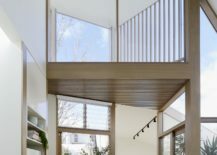 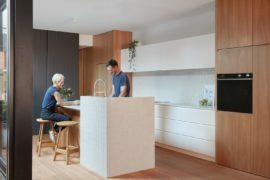 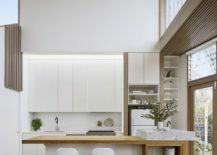 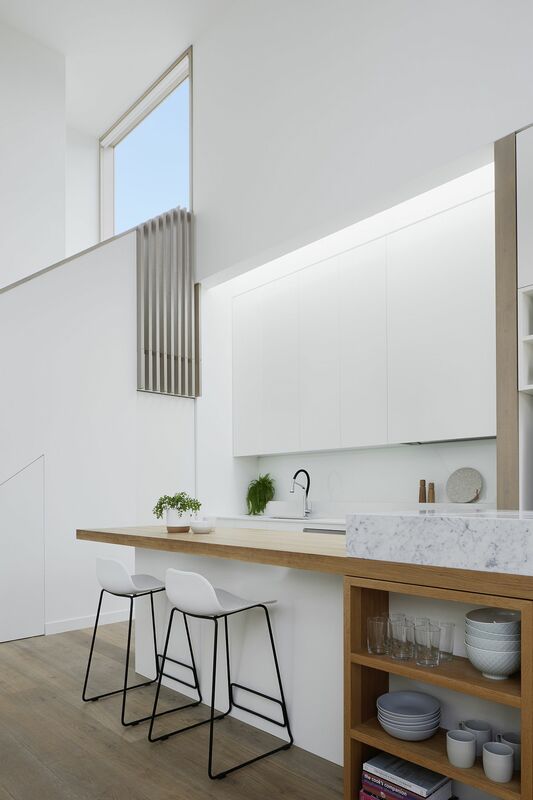 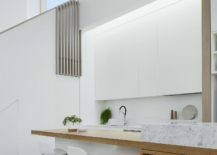 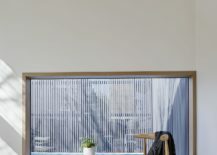 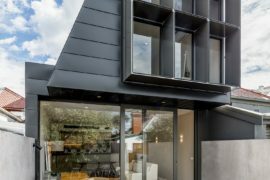 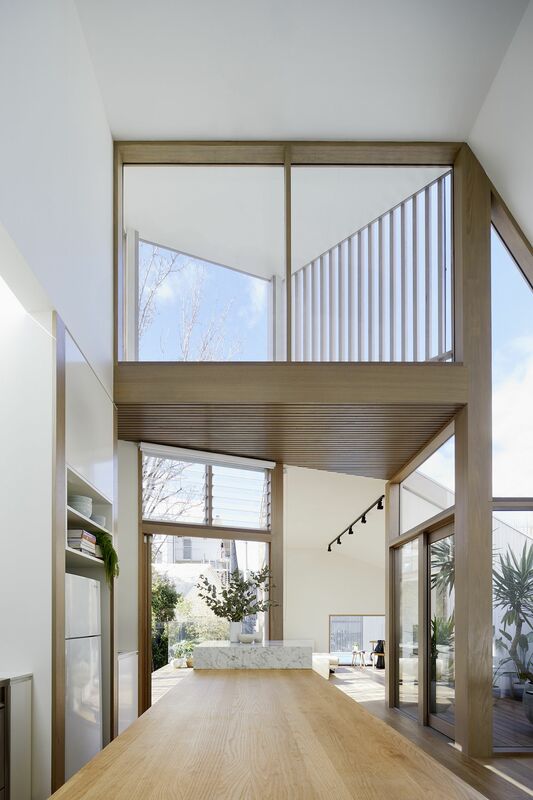 The modern home in South Yarra, Melbourne, designed by po-co Architecture borrows from the beautiful Victorian street façade of its neighbors, but gives them a contemporary twist with a more charming adaptation! 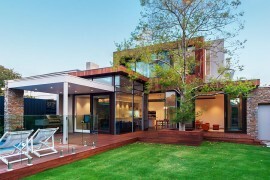 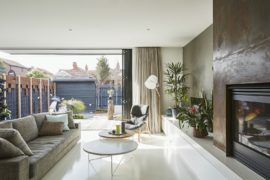 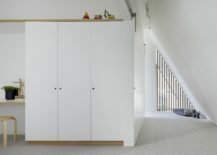 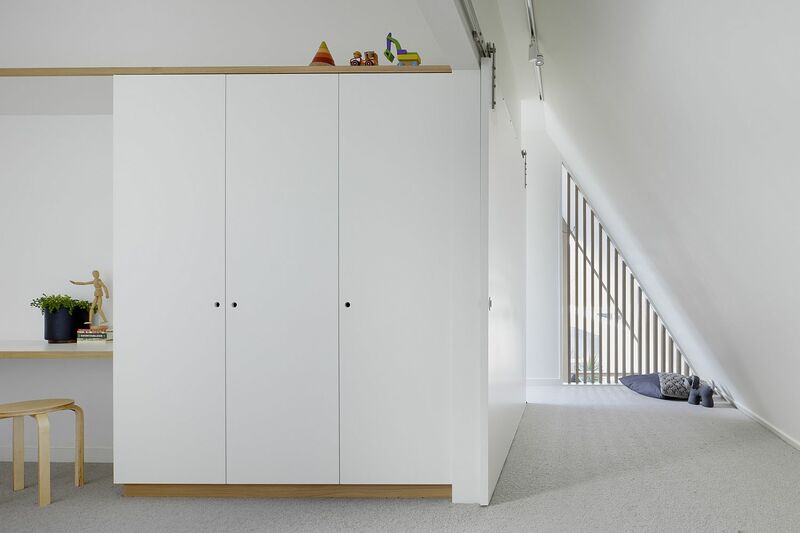 On the inside though, the house is a picture of urban sophistication, serenity and spaciousness! 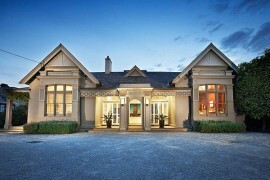 Polished elegance takes over from Victorian-inspired aesthetics as one steps into the dark and compact entry hall. 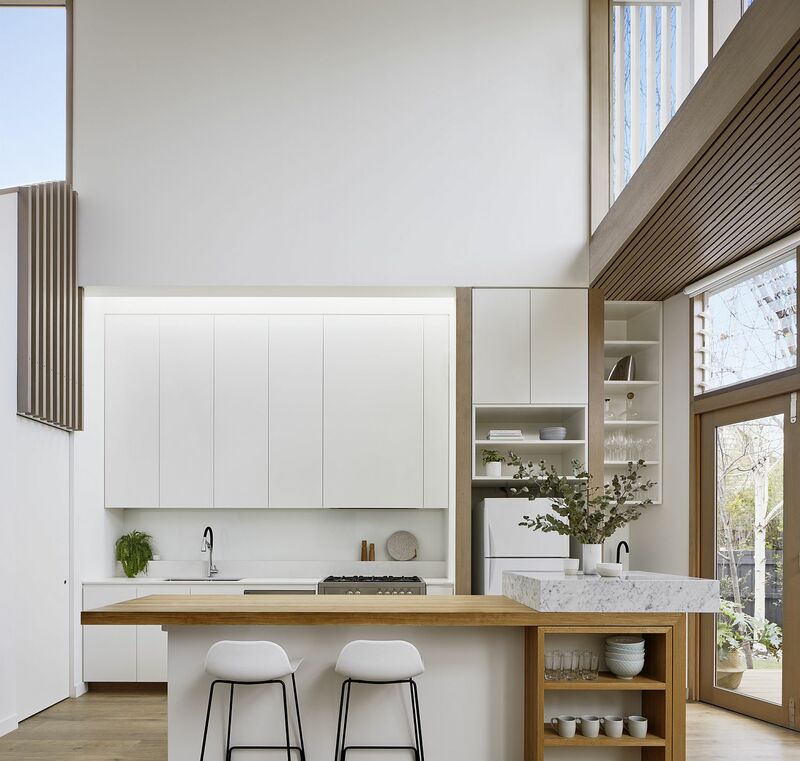 From here the design takes another turn as a spacious, inviting and cheerful double-height kitchen and dining area leaves you spellbound. 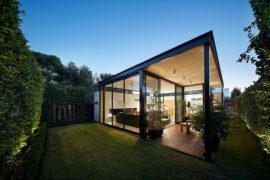 A flood of natural light from above and connectivity with the garden and a small deck outside give this area a larger than life appeal and turn it into the perfect setting for a social gathering. 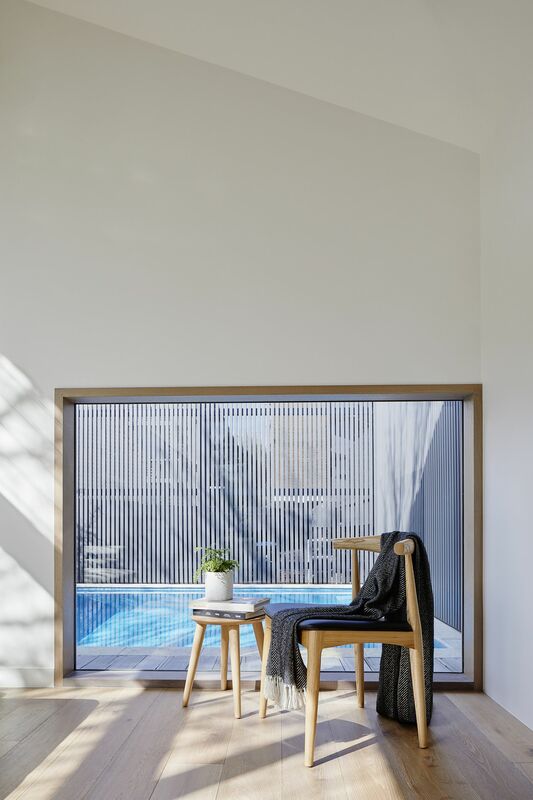 At the end of it all is the tranquil and curated family room that enjoys unabated access to the pool even as smart design keeps out prying eyes.